CLAYTON, NC – For the second consecutive year, the Clayton Rugby Football Club is proud to team up with the Carolinas Geographic Rugby Union to host a Player and Coaching Development Camp. The camp, scheduled for August 19-20 in Clayton, is for men’s and women’s players and coaches from clubs throughout the Carolinas. This year, the club is excited to bring in Chris Brown to lead the two-day camp. 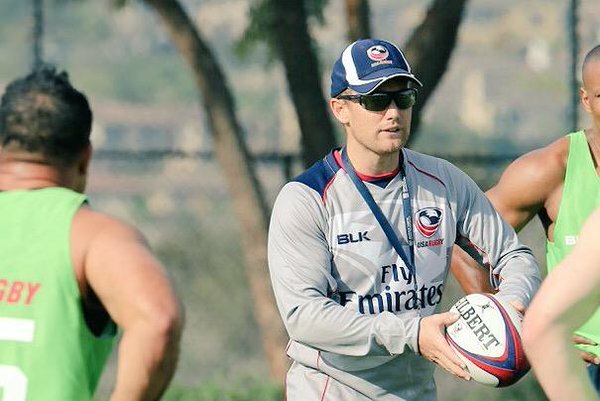 Based out of the Olympic Training Center in Chula Vista, Brown is the USA’s Olympic 7s Lead Residency Coach, Head of Physical Performance for USA Rugby, and Assistant Coach for the USA 7s Men’s squad. Brown played a vital role in the USA Men’s highest ever finish on the Sevens World Series this past season. The two day camp is part of a greater emphasis from the CGRU on investing in the development of coaches and players. The camp starts with an on the pitch coaching session on fundamental skill development. The coaching session is followed by small group sessions for men’s and women’s players that focus on skill development and skills/conditioning games. Campers are then invited for a Saturday night social session and presentation by Brown that provides insight into the USA Eagles Men’s 7s rugby environment. That presentation is followed by a session on Holistic Planning and Preparation for coaches. The group ends the evening with a Q & A session, dinner, and social time. Sunday brings a new element to the Development Camp as the Carolinas Rugby Union and Clayton RFC are opening up room for local High School players to have a session with Brown. A limited number of places are being made available to high school players with a focus on upperclassmen that are planning to pursue rugby at the collegiate level. This year’s Carolinas Player Development Camp will, once again, be hosted at East Clayton Community Park in Clayton, North Carolina. Coaches, both youth and adult club level, are free to attend. The fee for Players, that are registered with clubs in the CGRU, is $20 per player. The registration fee for High School Players is $30. The registration include a camp t-shirt and water during the camp. Spaces are limited, so pre-registration is required to guarantee your space.